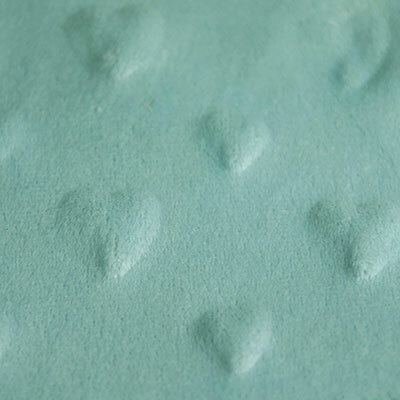 Get a sample of "Pale Blue"
Super sweet fabric with heart motifs which are actually 3D! 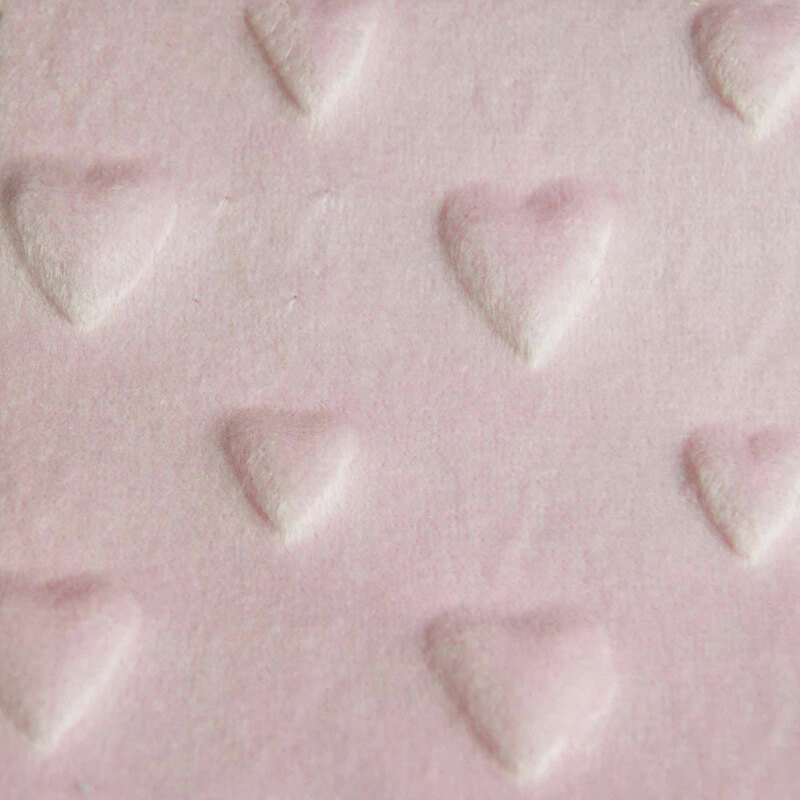 The cute heart shapes are cleverly embossed right into the actual fabric. 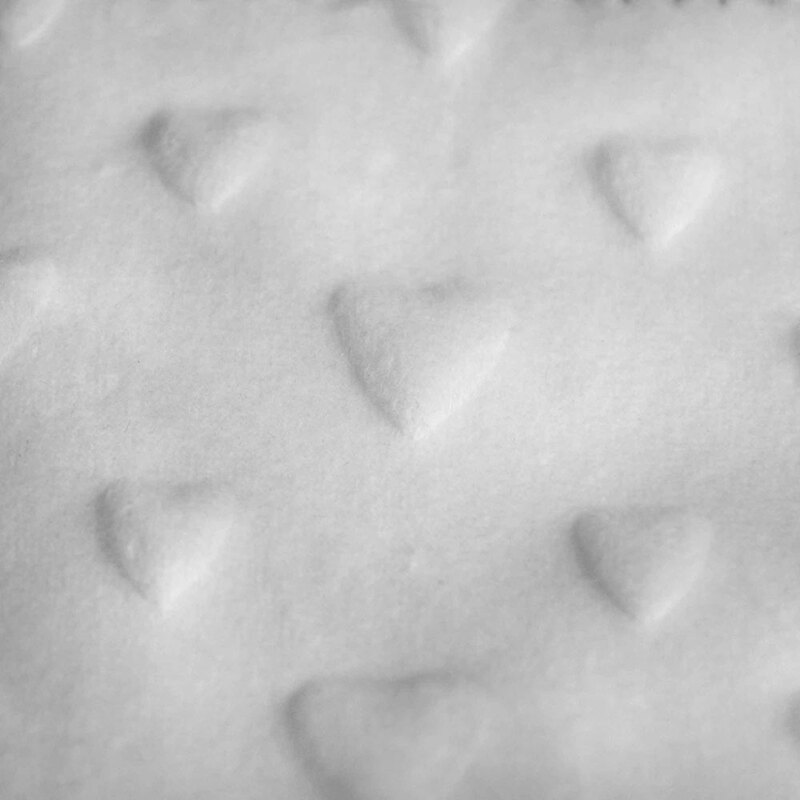 This method pushes out the heart shapes from underneath so the hearts literally pop out a few millimetres from the surface of the fabric. 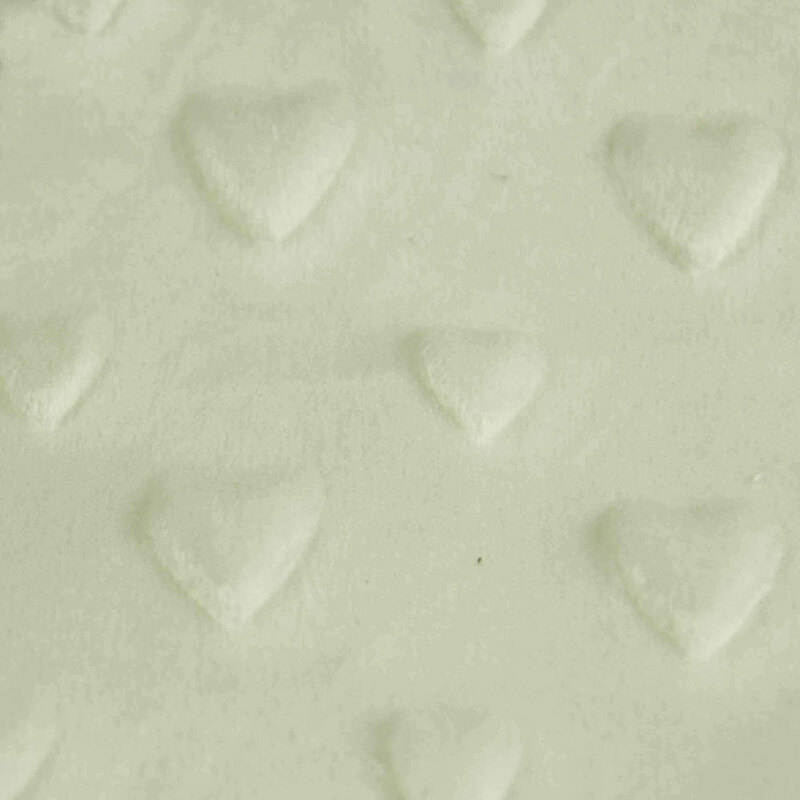 The hearts are set out in a uniform design, the small ones measure 2 cm in height and the mini hearts at 1.5 cm. 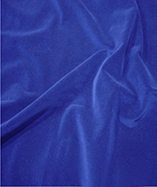 The fabric itself is a type of extra soft polyester velour fabric. 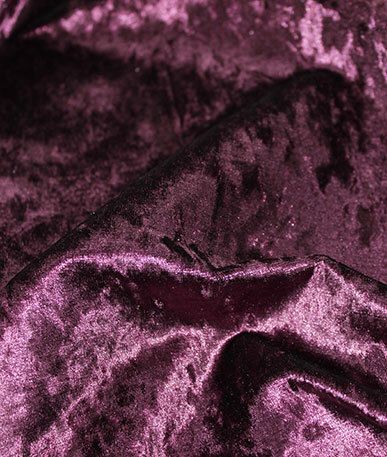 This is a non-stretch fabric which is just as well as you don’t want the hearts to warp and go out of shape! 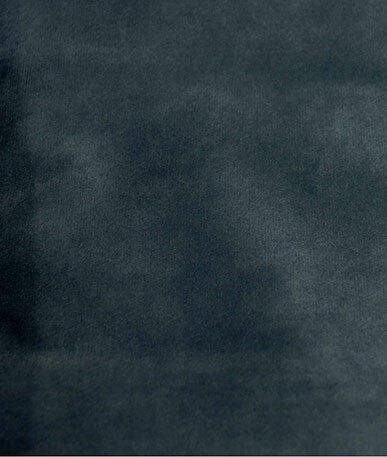 It does have a minimal amount of give on the bias, just enough to help if you decide to use this fabric for garments. 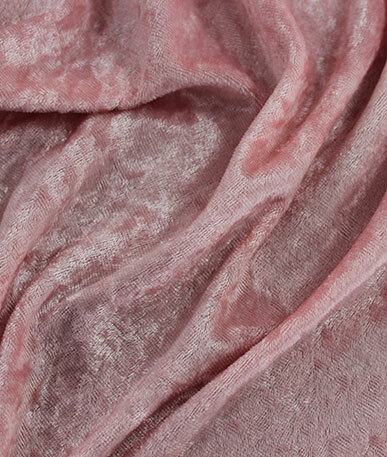 The pile is closely napped at about 1.5 mm and designed to run in one direction, this gives the fabric a very soft feel which is also extremely smooth and strokable. This cute heart fabric is perfect for babies and toddlers. 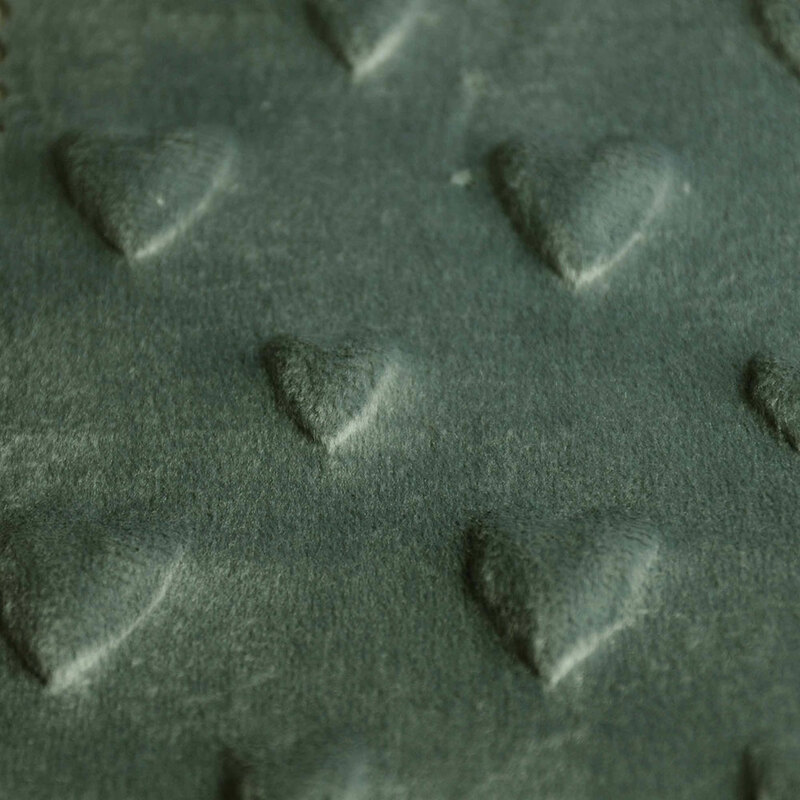 Tactile pop out hearts will be interesting to touch and the smoothness of the velour is calming to stroke. The soft feel would be lovely as bedding and nap time comfort blankets. Try a double sided mini throw with a different shade each side. 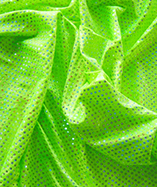 Children’s clothing would of course be a great choice in this fabric, from baby grows to party dresses.